Company has a professional team with over 15 years experience of rotational mold development and production. Also well mastered in developing machinery tanks, fuel tanks, cleaning equipment, outdoor playground products, and so on. Rotomolding Products Package: Plastic film or Bubble bag, Carton box or package as per customers requirements. The material can be UV resistant which can ensure the outdoor use of your products. 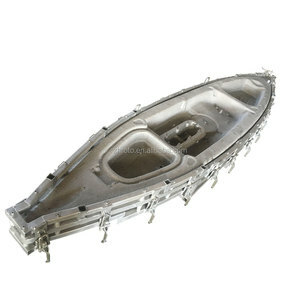 Only you offer us drawing or sample size we can make a new mould then make products for you. Welcome to send us drawing or size, we can offer you quotation and other details. 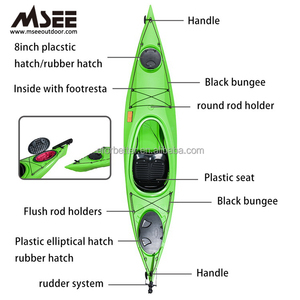 Regular colour for fishing kayak: grey/white, army green, khaki, green/white, blue/white, etc. Please contact us with any questions or comments via email. We will try to answer all questions within 24 business hours. LCL is not acceptable unless you have your own container leave from China as a sample order. 5. Single and mixed colors can be provided as customer's requirement. 5. Single and mixed colors can be provided as customer's requirement. 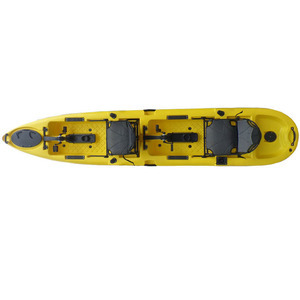 It is a fun boat and great way of getting your child into the water and hopefully to follow in your paddle pockets. 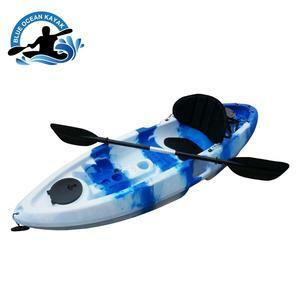 Specification of Kayak Kids, Child/Children Kayak Plastic Model:DH-Doris Size: L:1.80mtrs; W:0.58mtrs; H:0.30mtrs G.W./N.W. 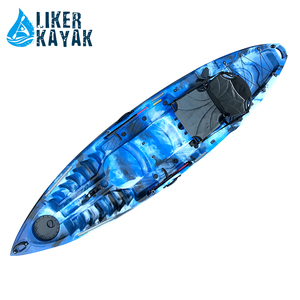 Welcome to contact us about the Kayak Kids, Child/Children Kayak Plastic . Dace pro angler series devoted to provide fishing enthusiast an excellent connection with the nature. 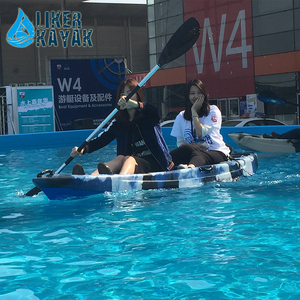 We are committed to our customers and partners and have a passion for kayaking. Q: Can I buy different types in one container9 Yes, you can mix different types in one container. ; -- Mixed colors : camo coloe, rainbow color, any colors mixed. -- Delivery time: 10-15 days from the day deposit received. Delivery time: 20'ft within 10 days, 40'hq within 15 days normally. 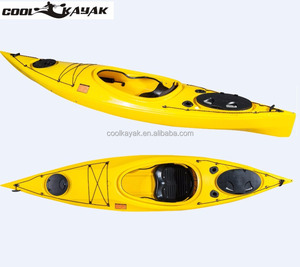 Hofive Technology (Chengdu) Co., Ltd.
China imported wholesale cheap kids plastic sit on top sea kayak Zhejiang Kanglaibao Sporting Goods Inc. founded in 1988, is a high-tech enterprise integrating R&D, manufacture, sales, and service. KLB has focused on top quality sporting and leisure products for over 20 years in China, The production base of the company is located in FUJIAN province, The production facilities occupy a land area of 84,000 m2 . 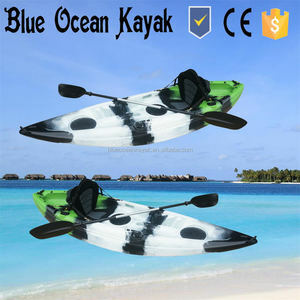 Alibaba.com offers 15,240 kayak plastic products. About 23% of these are rowing boats, 3% are surfing. 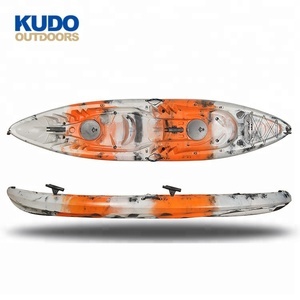 A wide variety of kayak plastic options are available to you, such as free samples, paid samples. 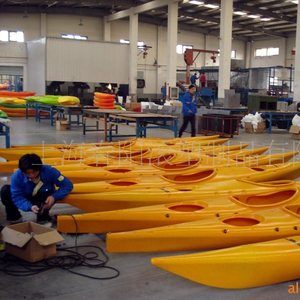 There are 15,221 kayak plastic suppliers, mainly located in Asia. 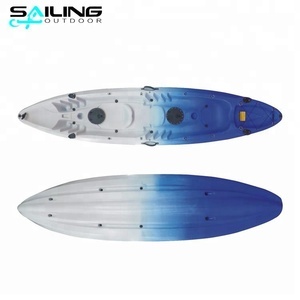 The top supplying countries are China (Mainland), Norway, and Turkey, which supply 99%, 1%, and 1% of kayak plastic respectively. 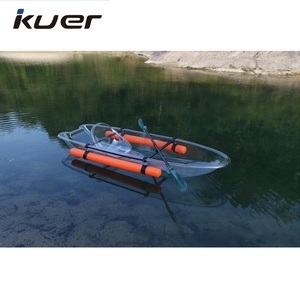 Kayak plastic products are most popular in North America, Oceania, and Western Europe. You can ensure product safety by selecting from certified suppliers, including 2,761 with ISO9001, 592 with Other, and 277 with ISO14001 certification.